Quality events are expensive, especially if you include state-of-the-art technology, live music, and professional AV. Event sponsors can help fund your next event and also add value to make it a truly superb experience. They can provide in-kind support such as tables and chairs or hors d'oeuvres, or they can provide good old-fashioned cash. So, how can you pique their interest? And who should you ask? If your event aims to support a non-profit organization, you have two opportunities to secure money from a company. Event sponsors may choose to make a charitable contribution from their donations budget, or they may want to actively participate in your event, using money from their marketing budget. In most cases, a sponsorship proposal is purely a business offer. You are not begging for help, you are offering something of value in return for their support. Value is in the mind of the beholder, so not every company is a good fit to sponsor your event. So, what do you have to offer? You’re giving them visibility and a voice, and both are golden in the world of marketing. Which sponsors (or products) might interest your audience. Which companies are targeting your audience to promote their brand or products/services. Match these up, and you’ve identified an ideal prospective sponsor. Walk around your event (mentally or physically), considering every aspect as a potential sponsorship opportunity. You want to secure overall event sponsors, but many companies would rather be associated with something more specific and relevant to them. 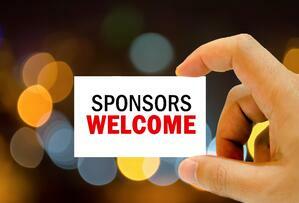 Make sponsorship accessible with multiple levels. And don’t just ask for money or stuff, ask if/how they want to be actively engaged with your event. If your event is a repeat, start with last year’s sponsors. Hopefully, you thanked them profusely and held a debriefing session to learn how things went for them. How can you work together to make this year’s sponsorship even more valuable for both of you? Depending on your event, you can look locally for sponsors or you can go regional or national. The bigger the name and company size, the more competition you’ll likely have for sponsorship dollars. Goodwill matters to every business, but local companies especially like to support events within their own communities. Even if their industry isn’t much of a match for your event, that local connection can clinch the deal with them. 4. Marketing 101: What’s In It for Them? Don’t be coy — tell them right up front what you want. Last, talk (briefly) about your company/event or cause (“why sponsor us?”). Make them an offer you think is the best possible fit, but be open to suggestion. They know their marketing needs better than you do. Do they want to show off a new car? Demo a new product, or hand out samples? Bring it on! The easiest way to get it right is to simply ask them what they want. Instead of sending a detailed proposal, ask for an appointment to discuss what they want to promote, what message they want to get across, how you can help them reach their goal. That will definitely set you apart from most of the requests they receive. Securing event sponsors is no trick. However, with careful thought and smart targeting, you will earn the treats that come from successful sponsor partnerships.